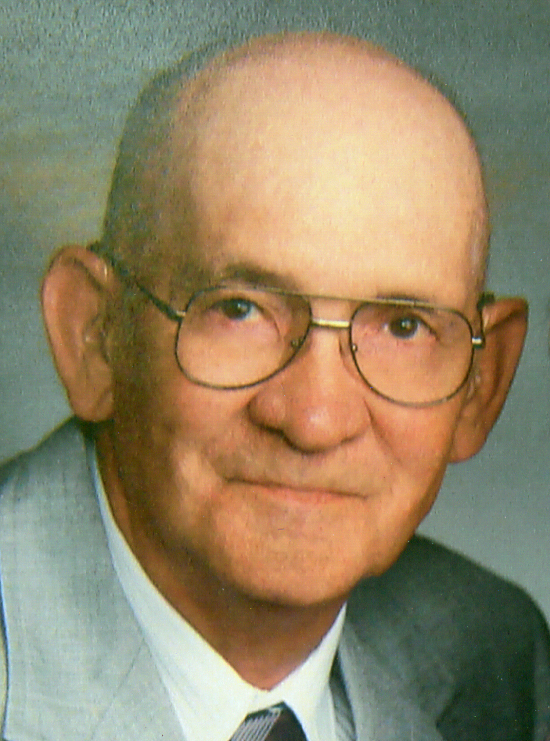 Elwin Lemuel James, age 92, of Marion formerly of Radnor, passed away Tuesday September 16, 2014 at the Heartland of Marion. He was born to Anson Bradley and Ora (Elliott) James on January 15, 1922 in Radnor. Elwin served his country during WWII in the Army infantry unit and was honorably discharged. He then went on to farm for many years along with driving a milk truck and then a school bus. Later, he worked as a machinist for the Marion Power Shovel for 35 years. He enjoyed tinkering in his garage, repairing John Deere lawn mowers, playing his musical instruments, watching John Wayne movies and spending time with his family. There was not one lawn mower he could not fix, or one instrument he could not play. When his granddaughters were younger, he made them everything from a doll crib to a go cart in his workshop. He was also known for passing out peppermints to friends as well as strangers. In recent years, he especially adored his great-grandchildren Reagan and Landon. He also enjoyed visits from his nearby family as well as close friends, including Tim and Andy Peacock, whom he thought of as his own grandsons. Elwin is survived by his son-in-law, Walter Threlfall of Powell, OH, granddaughters, Ronda (Kevin) Schnipke of Prospect, OH, Deanna (Ted) Sarago of Columbus, OH, Andrea Threlfall of Pensacola, FL, great-grandchildren Reagan Schnipke, Landon Sarago, and Rylee Mason, daughter, Joyce (John) Armstrong of Texas, and grandson, Chris Armstrong of Texas. Elwin was preceded in death by his wife of 64 years, Eva Adlee (Hesson), his daughter, Barbara Ann Threlfall, as well as eleven brothers and sisters. Funeral services will be held Saturday September 20, 2014 at 11:00 am at the Stofcheck-Ballinger Funeral Home in Prospect, where friends may call one hour prior to the service. Burial will follow in the Radnor Cemetery, where there will be veteran graveside services conducted by the Richwood Area Veterans. Officiating will be Pastor Joseph Rhea.